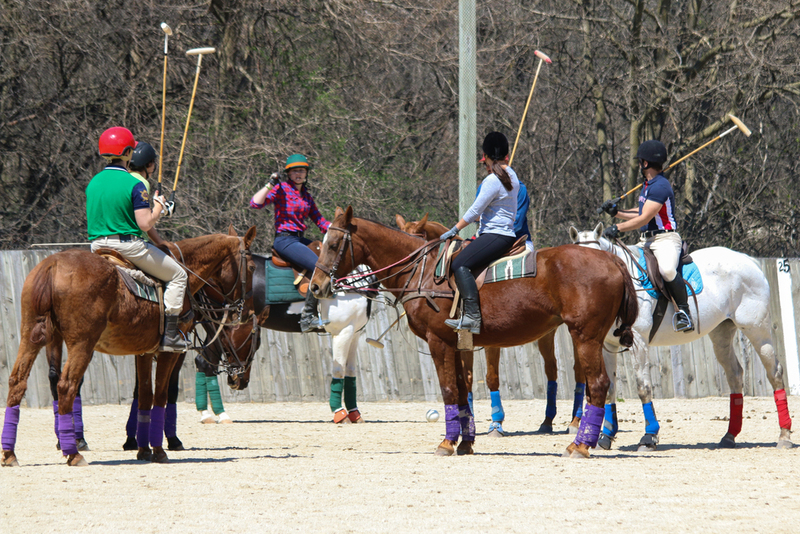 The Barrington Hills Polo Club is dedicated to the idea of polo as a game shared among people who love horses, good times and each other's company. Polo is a team sport like no other, and Barrington Hills is a polo club like no other. Our club's motto is "Polo Among Friends". The Barrington Hills Polo Club is the largest polo club in the Central Circuit of the United States Polo Association (USPA). The club boasts three grass polo fields in Barrington Hills, Il. It also operates an arena facility in nearby Wauconda (IL) with a regulation, lighted outdoor arena plus a smaller indoor arena for winter play. Barrington Hills Polo Club offers year-round polo and Chicago’s only nationally recognized polo school. The Barrington Hills Polo Club is dedicated to polo that is accessible, affordable and fun for people who love horses, good times and each other's company. Our motto is “Polo Among Friends.” The club’s focus in on amateur polo. Membership is open to everyone, regardless of skill level -- from "I've never played a game in my life" to professional. Barrington Hills Polo Club is a registered non-profit organization where all club members volunteer to the club's administration. The club hosts a variety of tournaments and matches including the annual LeCompte Kalaway Cup, Chicago’s largest public polo event. Founded in 1980, by former players from the Chicago Avenue Armory, the Barrington Hills Polo Club offers year-round polo. Learn to play polo! We're not kidding - if you can sit on a horse you can learn to play polo. The only polo school in Chicagoland - fun, affordable, nationally recognized and less than an hour from the Chicago loop! Polo school graduates have played at venues all over the world including the UK, Europe, Asia, South America and across the U.S. and Canada. We offer several unique corporate employee development and client entertainment packages for your organization! Chicagoland's single largest polo event! We invite you to return to the way the game of polo is meant to be enjoyed, where polo players and fans of all ages can gather in a world-class venue for the sport and lifestyle. Join us for the single largest polo event in Chicagoland, the LeCompte/Kalaway Trailowners Cup!